A delicious healthy meal! Less than 30 minutes and you have a meal on the table. Combine biscuit mix and parsley in small bowl. Stir in remaining 1/4 cup milk until soft batter is formed. 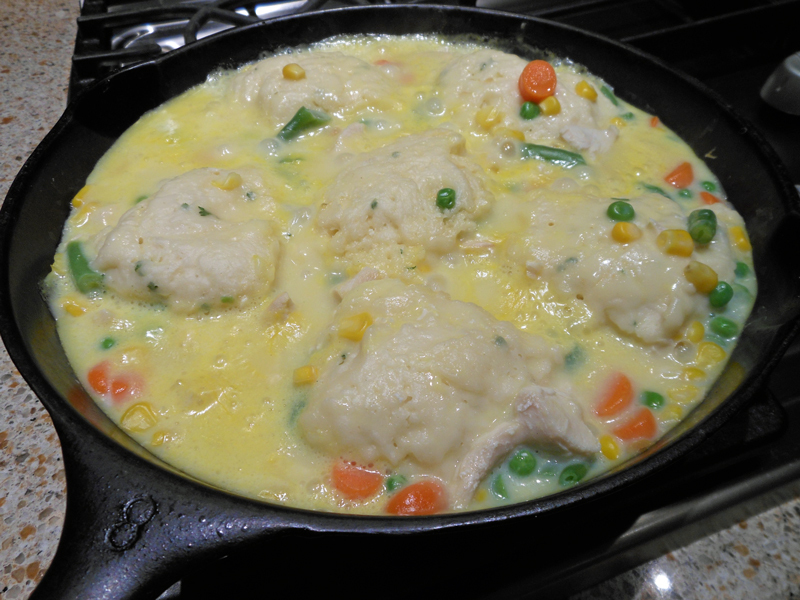 Drop batter by tablespoonfuls onto chicken mixture to make 6 dumplings. Partially cover and simmer 12 minutes or until dumplings are cooked through, spooning liquid from pot pie over dumplings once or twice during cooking. Calories – 241, Total Fat – 5 g, Saturated Fat – 1 g, Cholesterol – 33 mg, Sodium – 422 mg, Carbohydrate – 25 g, Dietary Fiber – <1 g, Protein – 17 g.
Looks really good, and easy! !